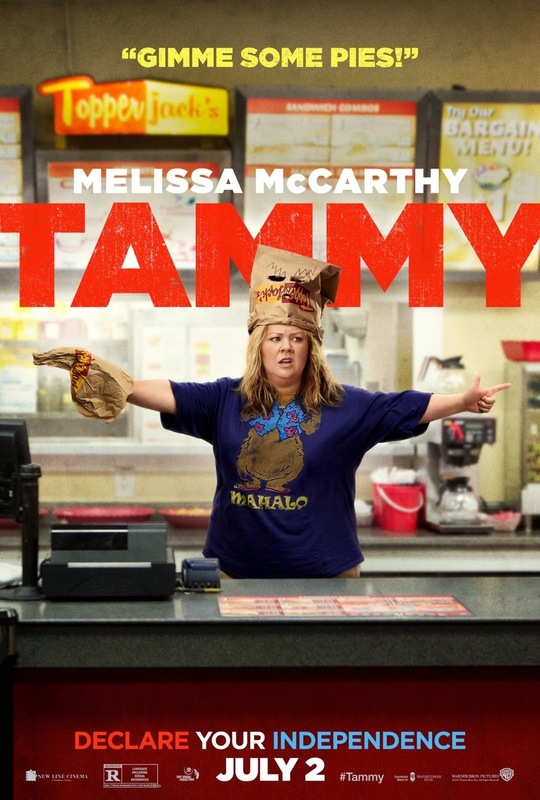 Tammy will rob your laugh like a Fast Food Restaurant. Tammy is the new comedy out for the 4th of July Holiday weekend. 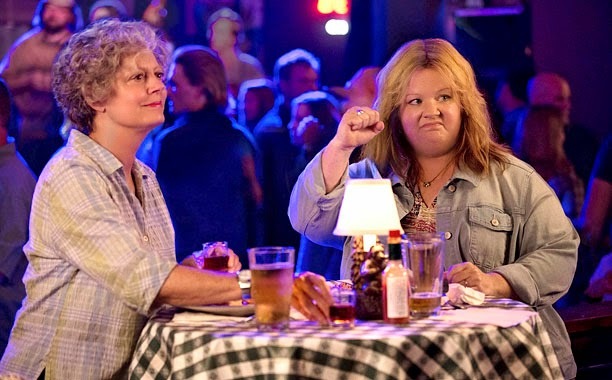 It stars Melissa McCarthy and Susan Sarandon. They are a great team on screen, who can pull off the chemistry you want in a "grandma granddaughter" type of role. The only problem is the movie trailers. This movie is another victim of that dang idea where they put all the funny scenes on the movie trailer and then those all the only scenes in the movie that are actually funny. Really what they should have done with the movie Tammy is change those dang movie trailers. If they would have put only the serious scenes in the movie trailer, no funny parts. Then you would have went into this movie thinking that this would be a new role for Melissa McCarthy, and you would have been surprised at all the laughing that the movie would have caused you. Who ever makes these trailers for the movies needs to be fired, laid off, or killed. Really anything would have helped. The movie will surprise you with a few cameo's that you won't know about unless you actually go and see the movie, so look away at this point if you have not seen the movie. Don't do it, don't read the next part unless you have seen the movie. Don't spoil the last little mystery to the movie. Spoiler: Dan Aykroyd plays Don, who is Tammy's father. He doesn't show up until the last five minutes of the movie, and we only see him for about one minute. Now to be fair, he is really funny, in the one short minute he is in the movie. They really under used him and they should have had him in the movie more. They had Toni Collette, who has been in some classics like The Way Way Back and Little Miss Sunshine, she barely said more then ten words in the whole movie. Gary Cole and Kathy Bates were also under used. They were in the movie more then Dan Aykroyd, but not used as much as they should have. That would be the writers fault. They would not written into the movie until the middle/end as they wanted to set up a story for the character Tammy. All in All... the beginning of the movie is great, because you actually feel for Tammy. The start of the movie is more serious and you want the character to stand up and do more for herself. Some how they make you lose this feeling until the end of the movie. Which I can only blame on the movie trailers for this movie. Make sure you stay during the credits for 2 funny bonus scenes. If I haven't said it enough... They needed to change the movie trailer for the movie. Also, they underused all the great talent they actually had in the movie. Not sure why they didn't add even more cameo's in the movie. The only real cameo would be Dan Aykroyd. They could have used some more to use that surprise on the audience.